When we say we're in the heart of everything, we're not kidding. 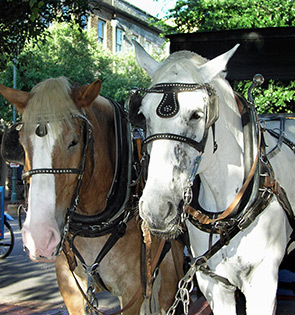 Stroll three blocks in any direction and you'll have experienced Savannah's entire Historic Landmark District. 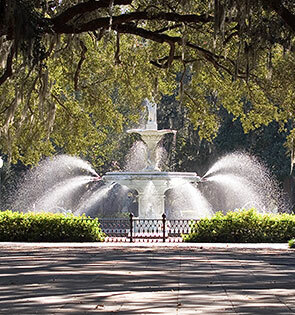 From cobblestoned River Street to the galleries of the Savannah College of Art & Design, this city is packed with things to do, see and experience. 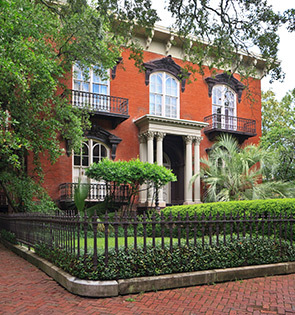 The central character in the book “Midnight in the Garden of Good and Evil," Mercer House welcomes visitors to see the rooms where murder, mystery, and mint juleps were served with a smile. 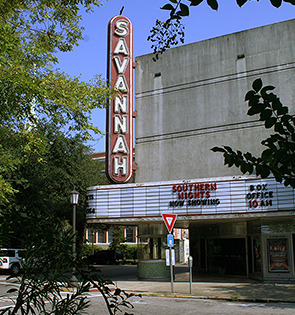 Built in 1818, the Historic Savannah Theater is one of the most historic performance venues in the country. Renovated in Art Deco style, the theater presents live theater performances, local musicals, variety shows and the hottest live music and concerts in Savannah. 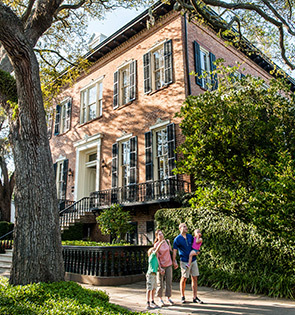 Voted the most beautiful street in North America by Southern Living Magazine, a stroll down nearby Jones Street is a glimpse at how the locals live, work, and play in our beautiful backyard. 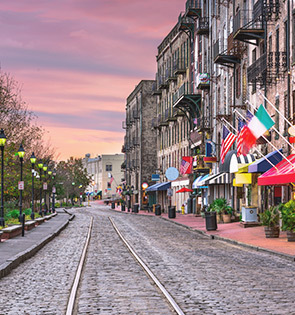 Stroll along the cobble-stone streets along the Savannah River to waterfront attractions, shops, boutiques, art galleries, restaurants and pubs housed in century-old historic buildings. Looking for the infamous bench? You’ll find it on display at the Telfair Museum. However, the bench was actually located in Chippewa Square for the movie with traffic going both ways. Tip: This is a big no-no when you are driving around Savannah Squares. 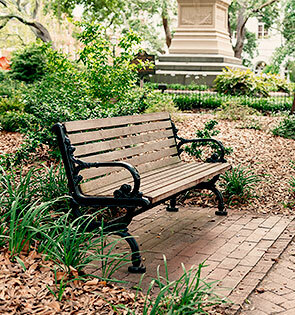 A hub for people-watching, Savannah's largest park spans 30 acres and offers walking paths and fragrant gardens, a grand cast iron fountain and a statue honoring the volunteers who gave their lives fighting for the Confederacy. 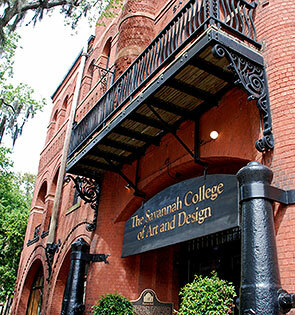 Founded in 1978, the Savannah College of Art & Design is one of the country's premier art colleges. Nestled in the Historic District, SCAD is home to beautiful art galleries and the SCAD Museum featuring contemporary art and exhibitions. 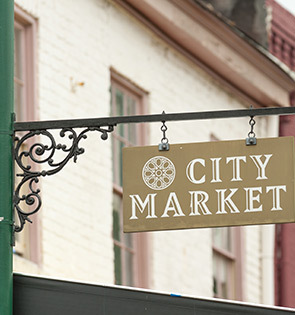 Featuring dining and shopping tucked in restored warehouses, this festive, four-block open-air market dates back to the 1700s. Don't miss the Art Center, a group of working artists' studios, as well as the market's first-rate street performers. 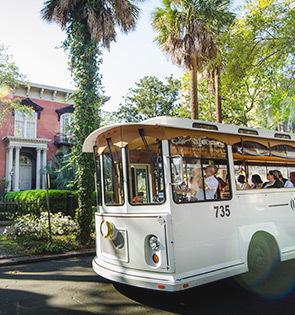 Hop on the Savannah Old Town Trolley Tour and see Savannah's historic marketplaces, landmarks, gardens, and attractions, and the most haunted streets in America. 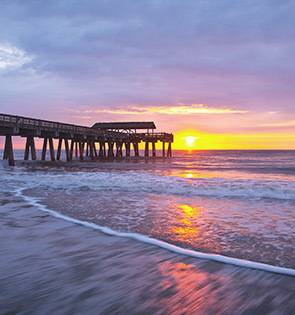 Slip on your sandals and enjoy the laid-back charm and pristine beaches of Tybee Island, a coastal barrier island just 18 miles from Savannah. Located in the Historic District, Broughton Street is home to an eclectic mix of mainstream stores and local designer boutiques, plus restaurants and bars loved by locals. 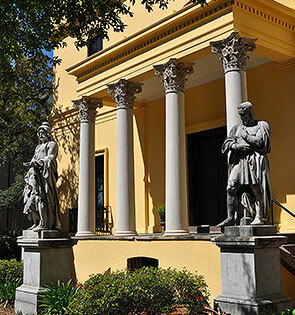 A former mansion built in 1818 for Alexander Telfair, the son of a Revolutionary War patriot, this beautiful Savannah museum displays 19th and 20th century American and European art.